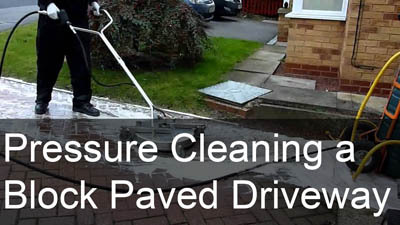 Yorkshire Driveway Cleaning is an awarding winning company who have excelled within the pressure cleaning industry since 2005. As a member of the Federation of Small Businesses and registered installers of Resiblock sealers in the Yorkshire region, we're a fully insured business with £5,000,000 public liability insurance cover. We offer a FREE no obligation quotation service and cover the following areas Pontefract, Castleford, Selby, Snaith, Goole, Howden, Doncaster, Wakefield, Leeds, York as well as others - contact us for further details. We believe in offering excellent value for money and make cleaning your surfaces as hassle-free as possible. 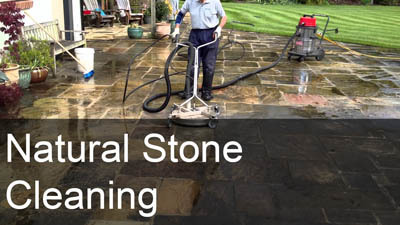 Offering a service to suit all budgets, whether you're a pensioner or a large multi national company, we make your paving and other elements of your exterior cleaner, safer, and easier to maintain between cleans, restoring kerb appeal and a non-hazardous surface for visitors. Not only is maintenance cheaper than replacement, cleaning greatly reduces any potential claim as a result of someone slipping and injuring themselves. We have and still do provide a commercial cleaning service for JCT600, Arla Foods UK, Ejot UK and Buildbase, S Harrison Developments Ltd and are used by Plasmor Ltd (One of the UK's leading manufactors of block paving bricks). We pride ourselves on being reliable, trustworthy and contactable - offering a fast, safe, affordable, hassle-free service, with fully uniformed and trained staff. Our prices aren't based on estimates; we measure the areas out accurately and you pay per m2 in most cases. We're happy to show you our pricing structure. All quotes are free, given in writing (electronically) and they're under no obligation for you to proceed. We'll give you the best advice possible. For instance, if we don't think a particular product is right for your paving, we won't recommend it. Only the best products are used to do the job right first time. 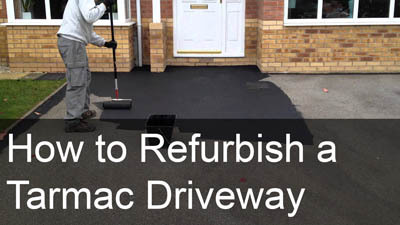 Whether it be Resiblock for our sealers, Cuprinol for our decking oil or PICScoat for tarmac restorations. We make no false claims or promises; every job and customer are treated as we would like to be treated ourselves. We help you to protect your initial paving investment, maximising the durability and appearance of your external hard surfaces. We clean up after we have finished, and you don't even need to be in when we carry out the work. My name is Jonathan Ward and I'm the owner and founder of Yorkshire Driveway Cleaning, I started the company because apart from wanting to work for myself I actually wanted to do something I'd really enjoy, get job satisfaction out of and be able to do for many years to come, and to this day I still do very much. Every day is different and it gives me chance to meet a broad range of people and no two days are the same. 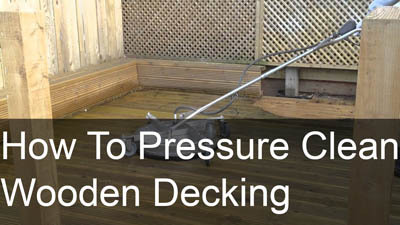 I felt the need to start up in the pressure cleaning and sealing business as I'd previously been a self-employed car valeter and was asked frequently if I cleaned driveways, patios, paths etc as well, with the customers stating "It's hard to find someone reliable who'll do a good job and not rip you off"
It's great doing a profession where you can see you've made a difference (we take before and after photos for our on records) and to get instant feedback from our customers makes it all worthwhile. We are happy to provide you with references from our satisfied clients. A fabulous professional job done in a timely manner! The drive looks like new again and most importantly is not slippery anymore! GDPR statement we hold clients data from web enquiries, calendar appointments, quotes and invoices. These may include your name, address, contact telephone number and e-mail address. We do not share this data for marketing or other purposes with any other companies.